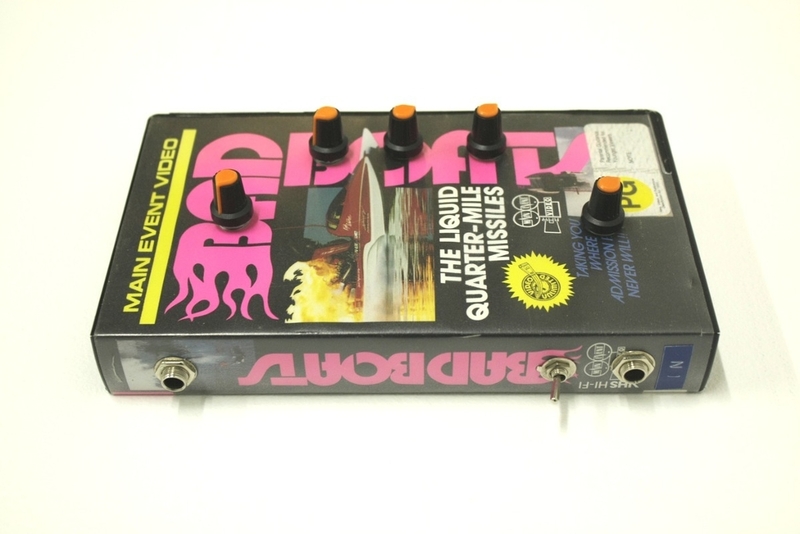 Fuzz box with an extremely wide range of possible sounds including mental oscillation and noise. Controls are very interactive and it's hard to repeat a particular sound, so make notes when you find something good. On box face: Gate, Stability, Compression, Drive, Volume. Powered by 9V battery only - no DC power supply. Circuit: Zvex Fuzz Factory. Built by Pat Kraus.